Since making its debut in 2002, the Mazda 6 has developed a solid reputation of being a reliable and affordable mid-size car. With a seating capacity for up to five people, this Mazda is good enough to be a family vehicle that doesn't strain the budget. The 2015 Mazda 6 retains most of the design concepts of the 2014 edition. The Sport, Touring and Grand Touring are the available trim options. Notable new features include power windows with one-touch controls for raising and lowering functions. Applied to most 2015 Mazda models, a new three-step painting process has been engineered to create unique deep finishes such as Soul Red. 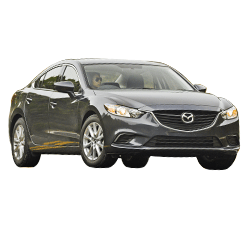 The following information offers a brief review of the 2015 Mazda 6, 10 reasons to purchase the mid-size car, and a few downsides of the model. The trademark SKYACTIV-G 2.5 L engine comes standard in all three Mazda 6 models. This four-cylinder engine is capable of whipping out 184 horsepower and 185 pound-feet of torque. Dual Overhead Cams (DOHC) and Variable Valve Timing (VVT) improve the combustion process in this aluminum alloy engine block. With an EPA rating of up to 40 miles per gallon on the highway, the Mazda 6 has one of the best fuel economy scores in the mid-size class. This model is also capable of driving for up to 28 miles per gallon in urban streets. When filled with regular unleaded gasoline, the 16.4 gallon fuel tank offers a driving range well over 600 miles. When taken for a test drive, people notice the agile and sporty handling of the Mazda 6. The six-speed SKYACTIV-Drive automatic transmission offers seamless gear shifting and even includes a manual mode. Additionally, a six-speed manual transmission is also available in the Sport and Touring trims. The Electric Power Assisted Steering system has a speed-sensitive design that further improves the handling of this mid-size Mazda sedan. The optional i-ELOOP system utilizes regenerative technology to capture energy from the engine block and power some of the car's electrical supply that is connected to the air conditioner and steering wheel. Every time the foot is taken off the accelerator pedal, the i-ELOOP cycle is activated. The focal point of the front cabin is a 5.8-inch touchscreen that's linked to a Mazda navigation system. This multimedia console is compatible with Pandora internet radio as well as SiriusXM Satellite Radio and HD Radio. USB and auxiliary ports can be used to connect mobile devices like MP3 players. The Bose Centerpoint audio system delivers excellent sound quality that can be controlled by steering-wheel mounted buttons or voice commands. The rear decklid spoiler and dual exhaust tips give the Mazda 6 a contemporary and sporty look. Even the rear antenna has a slanted alignment that highlights the aerodynamic profile of this mid-size Mazda. Painted in silver, the 19-inch wheels in the Grand Touring boast a sophisticated look that's better than standard aluminum alloy finishes. The Mazda 6 is loaded with digital technology that's designed to prevent accidents. Blind Spot Monitoring and Lane Departure Warning System minimize the risk of crashes when driving on multilane highways. The Forward Obstruction Warning system alerts drivers about the dangers of tailgating. With the Rear Cross Traffic Alert, immediate notifications are made when the Mazda 6 heads towards oncoming cars. Traction Control System and Dynamic Stability Control give the driver a helping hand when sliding on slippery roads or making sudden stops. The Hill Launch Assist minimizes the stress on the engine block when there's a need to safely drive up an inclined road. Smart City Brake Support and Electronic Brakeforce Distribution automatically override the controls of the anti-lock braking system when the Mazda 6 loses traction or needs to suddenly halt. The Push-button start system takes the hassle out of inserting a key into the ignition system of the Mazda 6. Remote keyless entry is also another convenience that owners of this mid-size can appreciate. With the Homelink system that's integrated into the auto-dimming mirror, it's easy to open and close a garage door or gate while sitting inside this Mazda. 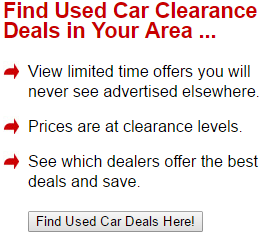 The moonroof can be fully opened or closed with a convenient one-touch button. Bluetooth technology comes in handy for making hands-free calls via a mobile phone. Additionally, the audio system can deliver SMS text messages to keep the driver focused on the road. Combined with heated seats, the dual-zone climate control system offers plenty of comfort in the front cabin. A pollen filter is installed into the air cabin filter to prevent common contaminants from circulating inside the Mazda 6. The side mirrors could also be heated to improve visibility during inclement weather. The interior of the Mazda 6 has a rather dull and minimal character with features such as dark cloth seats and traditional instrument cluster that doesn't seem high-tech. An upgrade to black leather trimming doesn't significantly improve the plasticky character of the cabin. The average user might struggle to browse through the touchscreen menu of the navigation system in the Mazda 6. There seems to be a significant lag when options are selected and then loaded for several seconds. The entry-level TomTom technology in the navigation system is below par compared to other sedans that have high-tech consoles integrated into the dashboard. Weighing just over 3,000 pounds, the Mazda 6 might take a harsh beating when cruising on rough roads or driving over speed bumpers and other abnormal obstructions. The low ground clearance of this model further exacerbates bumpy rides.